This is the second article of “Building Anti Spam Appliance Using Untangle” series. Its contents are part of the training material on my startup company, PT. Excellent Infotama Kreasindo for the subject “Security Hardening & Improving Mail Server Performance”. 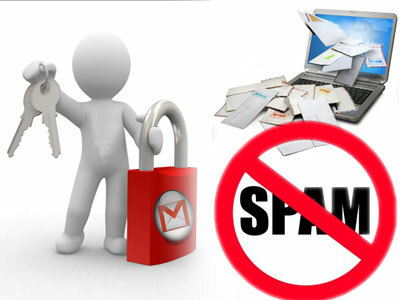 The training itself utilize Untangle as its base system for anti spam appliance. Introduction article can be found here : How to Build an Anti Spam Appliance Part 1 : What is Anti Spam Appliance and Untangle? For testing purposes while writing this article, I’m installing Untangle onto virtual machine on top of VMware vSphere with the following specs : Intel i7 processor, 32GB of RAM, 120 GB SSD disk and 2 pieces of gigabit network card. Untangle VM itself using 4 GB of RAM and 50 GB disk with 2 vCPU. You can download Untangle binary iso from its official site http://untangle.com/download. There are two binary choice to download : ISO file and USB binary. Each of them are available for 32 bit and 64 bit processor. I myself using Untangle iso file for 64 bit. After choosing the language, click Continue and choose your geographic location, usually this step related to your time zone. I’m Choosing Other > Asia> Indonesia then choose to Continue. The next interface is keyboard mode, select the appropriate option then click continue. This will take a while, because the installer will load the application. The next step is time zone configuration. You should set time zone according to your location, in this case I choose Jakarta. Untangle will check the requirements on the processor and memory, to make sure everything is correct. If everything is OK and no problem found, the next step is formatting hard disk. In this step, Untangle will format hard disk in order to create system and Untangle data disk. After all the steps finished, the installer will move to the next step : base system and required packages installation. You can relax for a while, this step will run approximately 5 minutes on the system with 4GB memory. 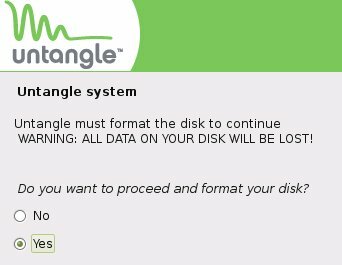 Finally, Untangle will confirm the installation status and ask to eject the installer CD. Click continue to finish the installation and reboot your system. Thanks for this useful blog about untangle,will you continue about configuration?